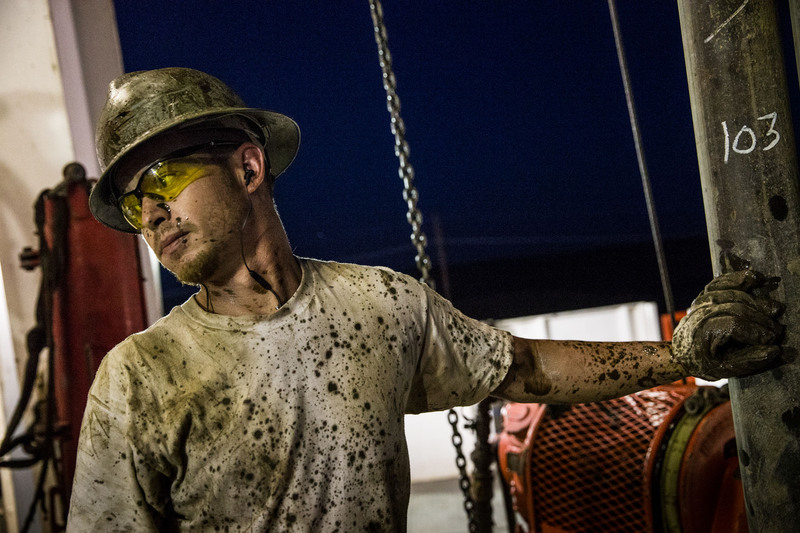 Russell Girsh, a floor hand for Raven Drilling, helps line up a pipe while drilling for oil in the Bakken shale formation on July 23, 2013 outside Watford City, North Dakota. Workers for Raven Drilling work 12-hour days, working 14 days straight, and then having 14 days off. They stay at a camp nearby.